Known to many as the “Land of the Sky,” Asheville is renowned for its beautiful views. This alpine town has thus become a center of tourism, as well as a major producer of delicious craft beers, stunning works of art, and other staples of North Carolina culture. ExpeditedFreight.com makes sure the Land of the Sky has all the supplies it needs to continue thriving. In this way, we help empower and expand one of the most iconic parts of the Tar Heel State. 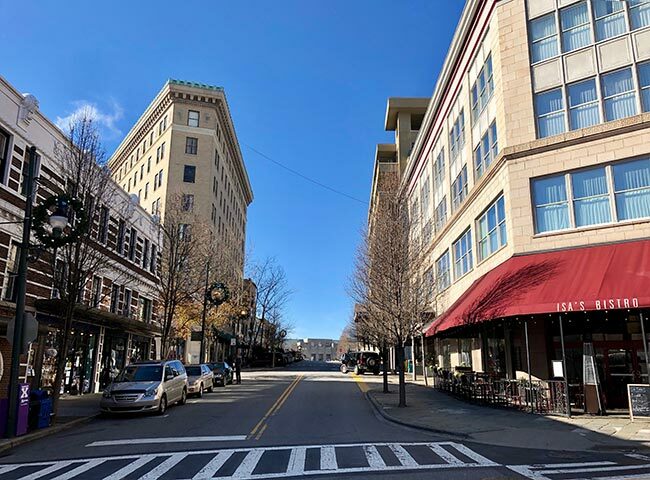 As vibrant as Asheville’s culture and economy are, they are entirely dependent on safe, swift shipping. Asheville depends on a host of supplies from other parts of the country. These include hops and grains for its breweries, school supplies for its colleges and universities, and soaps, sheets, pillows, and blankets for its hotels. Getting these supplies to the town is no easy task, especially given its location in a relatively isolated part of the Blue Ridge Mountains. Suppliers must brave treacherous mountain roads, taking care not to lose focus or drive too quickly. This makes it extraordinarily difficult to delivery supplies on time, especially if those supplies cannot afford to be damaged. ExpeditedFreight.com is no stranger to treacherous roads, and knows how to get in and out of Asheville quickly, safely, and reliably. Precise Deliveries - ExpeditedFreight.com delivers directly to your endpoint or ships straight from your starting point, regardless of where that is. 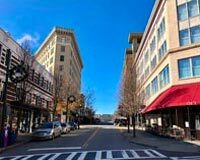 This means we operate in every corner of Asheville, as well as in other communities in the region such as Hendersonville, North Carolina; Spartanburg and Greenville, South Carolina; and Knoxville and Johnson City, Tennessee. Safe Shipments - Our team is committed to delivering each of your items in pristine condition. To this end, we invest in the storage equipment necessary to control temperatures, limit turbulence, and otherwise create an environment where no harm can come to your goods. We also require our drivers to operate in teams of two on all but the shortest deliveries. This way, they can help each other watch for dangers ahead; team driving also gives each driver a chance to rest, so no one is too tired to work safely. Comprehensive Planning - The ExpeditedFreight.com team plans every delivery in detail, paying attention to road quality, traffic patterns, weather forecasts, and a plethora of other factors. We guide our trucks around likely sources of delay and danger, sticking to the routes that they will be able to cover quickly and safely. Customer Service - ExpeditedFreight.com's customer service staff are available to answer your questions and offer free quotes at any moment. They also have access to detailed tracking data, and can tell you the position of your truck and its likely time of arrival at any point during the delivery process. To learn more about ExpeditedFreight.com's services in Asheville, throughout North Carolina, and all over the United States and Canada, visit our website today.